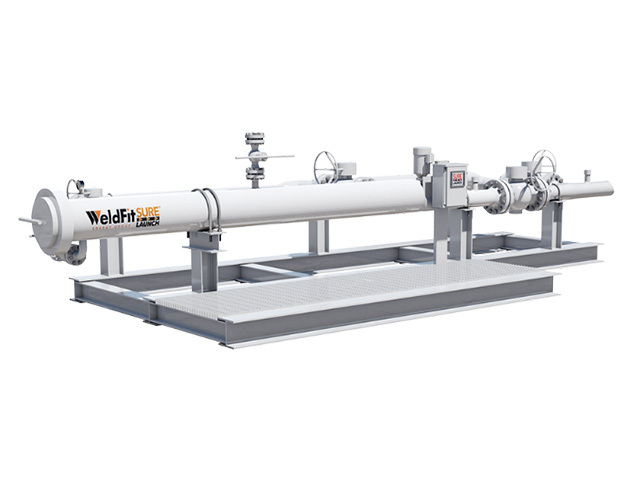 WeldFit specializes in the design, engineering, manufacturing and quality testing of automated pigging systems that can be utilized to perform four separate pigging functions: liquid recovery, cleaning, batching and in-line inspections. The SureLaunchTM automated pigging system can launch any type of pig individually at pre-set launch intervals through the use of a logic-driven control system and an electrical drive system. The horizontally oriented automatic launcher design is loaded with multiple pigs in one loading operation that allows the launching of a single cleaning pig, batching pig or spherical pig for both liquid and gas pipeline service applications.